(C) 2013 Gameloft. All rights reserved. Despicable Me and related characters are trademarks and copyrights of Universal Studios. Licensed by Universal Studios LLC. All Rights Reserved. Universal Partnerships & Licensing (UP&L) oversees NBCUniversal’s consumer product licensing, film, home entertainment and television promotions, and corporate alliances for Universal’s theatrical, home entertainment, television, theme parks and stage productions. This dedicated division is also responsible for monetizing the company’s vast library of films and characters through licensing, branding and marketing opportunities. UP&L is part of NBCUniversal. NBCUniversal is one of the world’s leading media and entertainment companies in the development, production, and marketing of entertainment, news, and information to a global audience. NBCUniversal owns and operates a valuable portfolio of news and entertainment television networks, a premier motion picture company, significant television production operations, a leading television stations group, world-renowned theme parks, and a suite of leading Internet-based businesses. NBCUniversal is a subsidiary of Comcast Corporation. Illumination Entertainment, founded by Chris Meledandri in 2007, is one of the entertainment industry’s leading producers of all‐audience event films. 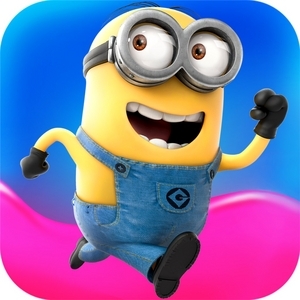 In July 2010, Illumination, which has an exclusive financing and distribution partnership with Universal Pictures, released the first film under this agreement, Despicable Me, starring Steve Carell, which earned more than ＄540 million worldwide and launched a beloved global franchise. With the success of 2011’s Hop, 2012’s Dr. Seuss’ The Lorax and 2013’s juggernaut Despicable Me 2-the year’s third‐highest‐grossing film at the worldwide box office and the highest‐grossing first‐run film in Universal’s history-Illumination’s films have made almost ＄2 billion. Universal and Illumination’s next film, Minions, a spin‐off of the phenomenally successful Despicable Me series-starring Academy Award(R) winner Sandra Bullock and Jon Hamm-arrives in theaters on July 10, 2015. Fans may also experience Minion Mayhem in 3D with the Ultra‐HD movie motion simulator adventure at Universal Orlando Resort and Universal Studios Hollywood.